Things People Did When We Were in the NICU | How Do You Do It? When our daughters were in the NICU, there were many things that our friends and family did for us to ease our lives. If you have a loved one with a child in the NICU, maybe this will give you some new ideas on ways to reach out. My daughters’ godmother’s stepmother (got that?) planned to visit us while our girls were in the NICU. The day before she was to drive down from Ft. Worth to Austin, she found herself coughing. She thought it was probably allergy-reacted, but conferred with her doctor just in case. She told him that she was planning to visit a NICU, but was wondering what to do about her cough. He recommended that she stay away. She rescheduled her visit for later. Had she asked me, I might have asked her to go ahead and come down. I would have chalked it up to allergies. I wanted to see her, selfishly. 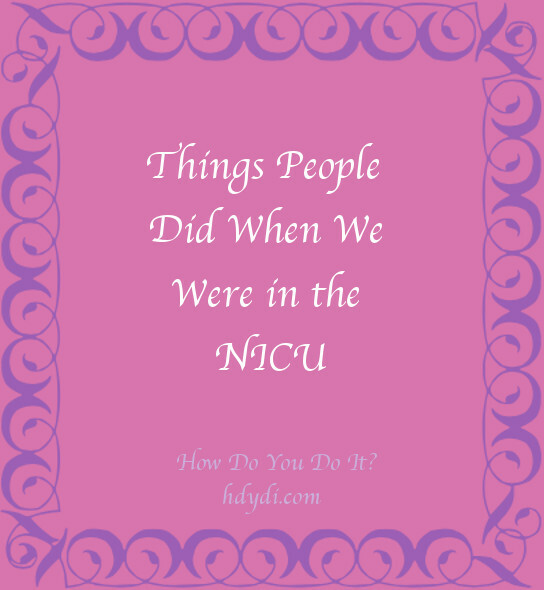 I hadn’t yet been allowed to visit the NICU and had no idea that visitors would expose not only my daughters, but all the NICU babies, to potential infection. DO: Put preemies’ medical vulnerability first. My coworkers visited us on their lunch hours, and every last one of them said, “Congratulations. They’re beautiful.” Let me be honest. 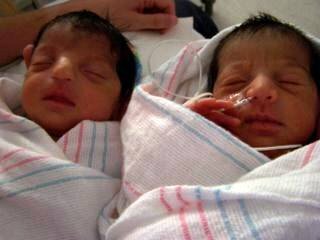 My little girls were not objectively beautiful as newborns. They were scrawny and out of proportion, covered with wires and tubes and sensors. I think everyone was more prepared to deal with my preemies after a coworker had a micropreemie a few months earlier. I remember discussions about whether to go ahead the scheduled baby shower when we weren’t sure if the little girl (now a vibrant and healthy 8-year-old) would make it. What my friends saw, because of their love for me, was the beauty of our girls’ potential, the beauty of being loved and the beauty of being alive. DO: Ask whether you can visit. DO: Congratulate the new parents. My friends Kaylan and Markus watched our cats for us, sat with me in the hospital, brought me food, and brought me photos of the babies. Kaylan took my husband shopping for a breastpump. Markus took my husband out for a beer when J backslid and had to have her feeding tube reinserted. DO: Help your friends remember that they are still people even while they’re parents. DO: Help with pets and home maintenance. My in-laws asked us early in the pregnancy how we wanted them to help. We told them that we wanted them to stay with us and help out for as long as they could. We warned them that the birthdate would be unpredictable. They both talked to their employers and made arrangements to be able to travel on short notice. They kept their phones on. Despite our girls coming 7 weeks early and living thousands of miles away, my mother-in-law was by my side the day in gave birth and stayed for 3 weeks. My father-in-law relieved her for another 3 weeks and was my chauffeur during the days that I had one baby home and one in the NICU. They split their time instead of coming together to maximize how long we had help. My mother, on the other hand, told me in great anger that she was planning to come on the due date despite my selfishness for giving birth early. DO: Ask what the parents need and respect to their requests. DO: Coordinate your schedule with other helpers. CareCalendar is a great tool. DON’T: Blame the parents for preterm birth. 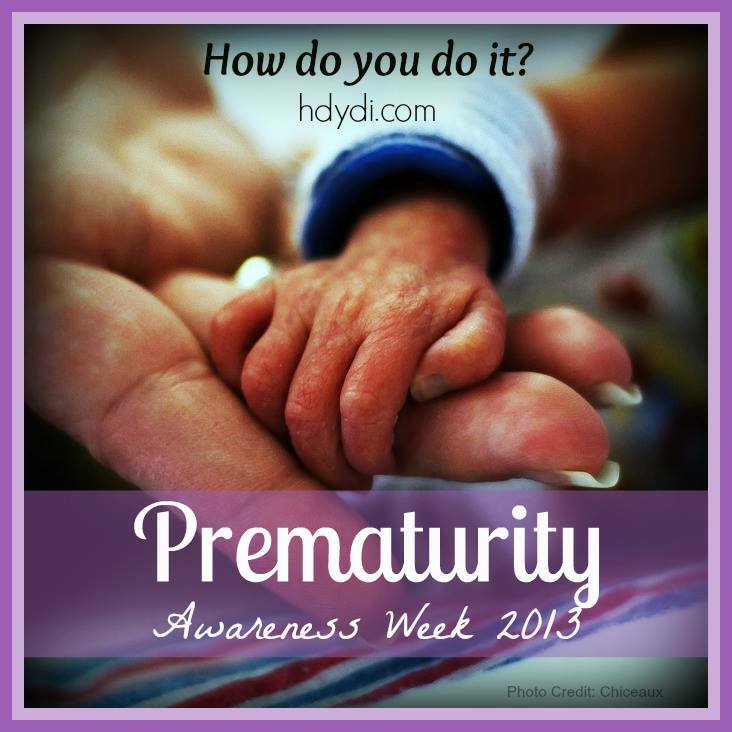 DON’T: Take premature birth personally. By the time I gave birth, my coworkers had already thrown us a lovely baby shower. Still, when the girls ended up hospitalized, they wanted to do more. Some genius took up a collection and bought us gift certificates to restaurants near the hospital. We could take husband-wife time and eat non-cafeteria food while staying within minutes of the NICU. Seriously: genius. DO: Ease the financial burden of sick newborns with gift cards. Before I went into labor, my husband’s commanding officer called my ob/gyn to get a precise estimate on when I would give birth. He wanted to figure out whether my husband would be able to lead his unit during combat training. He even had the gall to ask the doctor to schedule a preterm C-section around their training schedule. The doctor’s staff told him that medical information was protected by law and that they would never compromise the health of a newborn, not even for national security. What did people do for you while you and/or your kids were hospitalized? I hadn’t realized it I read your post, but I think I could write one myself, as well. 😉 One of my coworkers brought a wonderful meal to us while the girls were in the NICU. Our neighbors said they were going to hold off until the girls came home, which was fine and still very, very welcome…but I can still taste that cheesy-chicken-y goodness coming home after a taxing day of back-and-forth. On the opposite end of the spectrum, I was called into a work meeting. (My blood pressure just went up as I typed that!) I think the thinking was, her babies are in the hospital (literally, they were a week old), so she has time to spare. I did need to update a couple of key colleagues on work projects, but I felt so incredibly disrespected with the way it was handled. This is a great post! It’s easy to act without thinking. Seeing your DO / DON’T format is helpful for me, even having been in a similar situation myself. My “DO” advice is: If you travel to stay with the family soon after their babies are born, pitch in with practical help. Do dishes. Wash laundry. Burp babies. DON’T create more work for the new parents of twins (or a singleton baby, for that matter). Like you, Sadia, I was blessed to have very helpful in-laws to stay with us early on, but I know some new parents have less helpful and more burdensome experiences.